Our mission is to help your business be successful! Our top offshore software developers build custom software for small to large (Fortune 500) companies from the US, the UK, Europe, Israel and other countries to help them reach the market cost-effectively and to drive growth. We are 13 years in the offshore software development industry! We communicate in English. In spite of time difference we are very responsive if you have questions, concerns, or updates. Offshore and outsourcing development services provide businesses and enterprises with custom-built software and dynamic web and mobile applications and let them benefit from significant costs savings and business processes optimization. We apply our technological expertise, skills and knowledge to provide reliable offshore development services.Are you looking for a professional and experienced partner to develop expressive software for a specific purpose? Hire our dedicated developers, QA-engineers, or get our consultation first. Belitsoft is an offshore and outsourcing development company providing full-cycle offshore servicing: requirements gathering and analysis, creation of custom software solutions, architecture, UI/UX design, QA, testing, remote administration, maintenance and support. Build business software by using Software as a Service method. This service provides access to your applications and software via Internet. You do not need to install it. Take the advantage of powerful cloud computing! Get a full cycle of our web development services, including offshore PHP development. Our expertise lets us create various web solutions for e-commerce, enterprise web applications, mobile web applications, up-to-date platforms for advertising, sales or marketing communications, online systems, portals and much more. Our well-versed team follows the latest trends of web software development and has extensive experience. Our professional team of front-end developers follows the latest trends of user-friendly interfaces and interactive software development. Our expertise in front-end development: Angular JS Development, Backbone JS Development, Node JS Development, Bootstrap Development. We put the needs of the user first and provide easy to use the result. Our UI/UX designs provide the best user experience and user-friendly interfaces with effective navigation, high information availability, and enhanced performance. Belitsoft creates highly usable, scalable and secure solutions, which offer positive user experience. Our well-versed web developers offer e-commerce-centric web applications to help you effectively manage your online store and lead online-market. If you have the idea of meeting your customers globally and increase your revenues, we are here to create a custom e-commerce application for your business needs. Our e-commerce expertise: Custom e-commerce development, Magento development, Open cart development. Belitsoft develops enterprise grade applications for multiform enterprises and businesses worldwide. Our corporate software solutions are created for effective document management, data management, finance management, corporate eLearning and much more. The team of specialized application development engineers builds premier and customized applications for businesses to increase organizational value, performance, and profitability. The development of custom applications is our key competence. If you want an e-commerce web site or a complex business system, Belitsoft is here to offer you high quality custom application development services. We build unique applications of any complexity for different businesses and industries. Our custom application development services are business-oriented and customer-centric. We build easily scalable and maintainable applications and deliver our work precisely to your business requirements. Belitsoft provides end-to-end mobile applications development services by developing mobile apps for your specific needs and requirements. Our mobile development team is well-versed in various platforms, particularly iOS, Android, and Windows Phone. If you have the idea of a new mobile application, hire our best iOS, Android, Windows phone developers to turn it into reality and get an innovative and powerful mobile app. Belitsoft delivers expressive mobile applications that come with modern features and user-friendly interfaces to attract more users and optimize your business processes. Do you think your current software does not meet actual needs or inhibits your development? Belitsoft provides legacy system upgrade services to increase the efficiency of your existing software. Our team of professional programmers will maintain your product and develop it in the future. We are ready to take over the challenge of legacy system migration. Belitsoft offers a wide range of migration services such as technology re-platforming, data migration, process redefinition, or enterprise application integration. Belitsoft provides thoughtful and quality custom programming. Our software and applications are quality-driven and developed according to the latest quality standards and best coding practices. We offer a full range of quality control and assurance services for software development projects of any size. Hire our dedicated team of QA-engineers and testers and enjoy a perfect solution. We build flawless software products (various software, web and mobile applications) constantly analyzing software behavior and performance in real-time and across different platforms and devices. Try our independent testing services and get the most efficient software. Our company provides you with a dedicated support team, which delivers comprehensive product support solutions in response to the changing needs or requirements of our Client. We pursue long-term support contracts for our software and applications. High quality support and maintenance services from Belitsoft: Patches and upgrades when required, Product release support, Configuration management support, Product enhancement by adding new features, Bug-fixing. Our monitoring and controlling system is working 24/7. We strive for operational excellence and efficiency. Belitsoft provides you with dedicated offshore development center, or a dedicated team, or just a few dedicated developers for your project. Our team of hardworking software engineers delivers custom software that satisfies end-users and drives ROI. Your team of dedicated developers will always keep in touch and work closely with you. Each member of our dedicated teams is an expert in innovative custom software development to satisfy unique needs of end-users. Our top IT-talents are here to become a part of your in-house team and create a customized solution right for your business needs. Our dedicated teams model is based on providing a cost-effective solution selecting the most appropriate human resources and technologies for your project. Building optimal software, we strive for increasing the value from IT investments of our Clients. Belitsoft offers top human resources – dedicated teams of developers with 12+ years of experience in offshore software development for companies of different size worldwide. We create a technically savvy and friendly team for your project that helps us to organize effective communications, deliver a high quality product, and finish projects on time. Dedicated BA, PM, and Team Leads. We successfully manage small, medium, and large sized projects, following the latest project management practices (tools and methodologies like Agile and Scrum). Our highly skilled Business Analysts will offer the most powerful solution for you. Our Project Managers will provide accurate project planning (deadlines, budget, and scope of work), project implementation, and control and will increase the efficiency of your dedicated team. In addition, our Team Leads are passionate technology experts, who ensure that teams create clean and easily maintainable code, leveraging the newest technologies and applying best programming practices. Definition of Offshore Software Development Goal. The SMART approach for setting a clear goal for a project and shared the understanding of project goals. Project Scoping. Accurate definition of the scope of the project, project estimates and risk analysis; major functions are defined. Creation of a comprehensive list of tasks and work breakdown structures. Definition of user requirements. Setting Up. Placing development environment, network, servers, and other hardware requirements. Setting up processes for various functional areas including HR, Project Management, Collaboration, Development, Testing, and Delivery. Systems Development Life Cycle using ITIL, CMM, PMI, and ISO standards. Quality Management (due diligence, quality, and productivity analysis). Delivery. Product-related (“what” the team is delivering) and delivery-related (“how” the team delivers) goals based on the principles of Continuous Integration and Continuous Delivery. We transfer the entire team, IP, and process documents to you. Testing & Implementation. Automated code review, continuous integration of code, and cover code with automated unit and negative tests. Based on the pre-defined acceptance criteria, our Client conducts the acceptance test. Once acceptance testing is done, we reach the last stage of the project – its implementation at the client side. Maintenance & Support. Professional handling of issue life cycle, bug re-work, future feature enhancements. You can focus on core activities such as business, sales, marketing, or operations while we are keeping our focus on one area – product development. Our offshore services are designed to provide significant cost savings (recruitment, supervision, salary, training, and infrastructure) for various solutions. Hourly cost of a developer in Belarus is much less than in the USA or Europe. Written Non-Disclosure Agreements and Employee Confidentiality Contracts to ensure your ownership of property. We follow proven development processes and quality management system to minimize the risk involved in offshore project development: personal acquaintance and maintenance of healthy relationship with you; full integration of our offshore team reaching a physical proximity level; the opportunity to start with a small project hiring skilled individuals to make sure that we write clear code, meet deadlines, and manage proactively; using of an onshore-offshore hybrid model; daily scrum (status) meetings and their documentation; on-boarding and training plans to adopt your norms, standards, and work environment. 170+ skilled IT-professionals (senior level developers, QA-engineers, business analysts, and project managers) having large experience in diverse software development verticals and conversational English. We provide better flexibility and scalability of your business to tackle new opportunities and challenges. With 10+ years of quality experience in offshore software development, Belitsoft is capable enough to deploy top-notch software solutions (developments in big data, business processes, enterprise mobility, cloud computing, and much more) for the most complex requirements. We prototype your business idea and deliver results. We stand for high quality and creation of perfect software products. Each project is implemented according to the highest international programming standards. We are constantly adapting best methods and practices, improving our system of internal quality management and control. Our offshore development team uses flexible programming and communications approaches. We are proactive and always welcome new challenges and opportunities. We are also using a consultative approach. That means we consider the needs of the user first, then we listen to your business idea and requirements and turn them into unique and innovative software. If outsourcing vendor cannot be trusted to protect trade secrets, then the risks of an offshoring custom software development may outweigh its potential benefits. Hence, it is critical to review the intellectual property policy of the potential offshoring supplier. Maximizing the economic value of an offshore software development asset critically depends on understanding how best to use the available forms of legal regulations to protect intellectual rights. If vendor cannot be trusted to protect trade secrets, then the risks of an offshoring software development may outweigh its potential benefits. Hence, it is critical to review the intellectual property policy of the potential offshoring supplier. According to the World Intellectual Property Organization, offshoring software development means that company A turns over responsibility, in whole or in part, of an in-house software development to company B whose location is outside of company A’s national jurisdiction. Copyright and related rights to protect the source code and certain unique elements of the user interface. We understand the importance of intellectual property to our Clients’ business development. The ownership of intellectual property assets created by our offshore software developers, as a part of the work done for hire, as well as patents, copyrights and all the data related to the Clients and their projects, belongs to our Clients. The SERVICE PROVIDER transfers to the CUSTOMER property rights on the developed software under an exclusive license. The exclusive right means the right to use the software at its sole discretion in any form and in any way. Exclusive rights are transferred for the whole period of copyrights and act in any territory of the world. Exclusive rights are transferred on a grant basis. The transfer of exclusive rights from the SERVICE PROVIDER to the CUSTOMER is reflected in the Confirmation of services rendered. Date of transfer of exclusive rights is the date of signing the Confirmation of the services rendered by the Parties. The source code of the software is transferred to the CUSTOMER in electronic form to the email address specified in this Agreement or to the server of the CUSTOMER. Moreover, our Clients’ lawyers feel free to make changes in the Agreement and NDA which are signed prior to the start of any development work. To assure that Belitsoft treats intellectual property of its Clients with the ultimate care, we sign a Non-Disclosure Agreement (NDA) with all our Clients at the start of a business relationship. “Confidential Information" includes all information, technical data, or know-how, including, but not limited to, that which relates to a disclosing party's research, products, hardware, software, designs, inventions, ideas, processes, drawings, business plans, product implementations, financial information, marketing techniques, business operation and systems, pricing policies, information concerning current and possible new employees, customers, and/or vendors disclosed by one party to another in writing, orally, by inspection, or otherwise. The receiving party and its Representatives shall not disclose any Confidential Information to third parties, in any manner, and shall protect the Confidential Information for five (5) years following the date of its disclosure. Nothing in this Agreement is intended to grant or imply any rights, by license or otherwise, to either party under any patent, copyright, trade secret, or other intellectual property right, nor shall this Agreement grant or imply to either party any rights in or to the other party's Confidential Information. The receiving party shall take all measures reasonably necessary to protect the Confidential Information received from the disclosing party, at least as great as the measures it takes to protect its own confidential information. To assure that all Belitsoft developers are fully aware of the critical importance of protecting Clients’ rights, all Belitsoft developers sign Employee Confidentiality Contract along with their Employee Contract upon joining the company. These contracts would normally state that developers must comply with Belitsoft intellectual property protection policy. In addition, each developer can sign a personal NDA with the Client directly on demand. How must the right offshore software development company help the client save thousands of dollars? One-half of unsuccessful projects are related to ineffective communications and this translates to US$75,000 that are at risk for every US$1 million spent on the projects, according to the business research from The Project Management Institute (the US nonprofit professional organization for project management, 480,000+ members). A company is not only risking funds, but also it is risking project success rates. 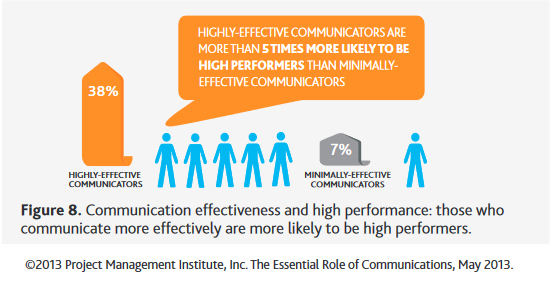 However, the study finds that only one out of four organizations can be described as a highly-effective communicator, the others have difficulty communicating with the appropriate level of clarity and detail and in the appropriate language to all stakeholders. Business owners speak the language of money, they want to know «yes or no», «hard numbers». They are more focused on the «cost and benefits» and «business value». Programmers speak about issues such as «browser inconsistencies», «responsive Web design», and «encryption key authentication». They need detailed technical requirements describing the business functionality to estimate cost and time frame properly. The staff of a good offshore software development company is not just well versed in topics such as .NET, Java, PHP, HTML5, CSS3, JS, SQL, XML, JSON, IDEs, APIs and so on, but also can explain how to use them to help meet the business goals of its clients. Such staff is often called business analysts or technical project managers or team leads. It means that a good offshore software development company should provide clients with the efficient staff with great communications skills, technical background and a problem solving client-oriented outlook. What is like to communicate directly with developers with and without seasoned expert who can translate business needs into technical requirements? I was lucky to team up with one of my best friend - developer who had just left Yahoo! and agreed to join me. Before he got started, I tried to sit him down and explain all of the features and functionality I imagined our app would have. After about five rambling minutes, he stopped me. “We can’t build from a list,” he explained. “Let’s organize your thoughts and map this out so that we know what it’ll look like first.” I started to draw sketches. And then those turned into wireframes. And finally, I learned how to use Photoshop and built mockups of the app. It bridged the gap between the thoughts in my head and my cofounder’s understanding of them, which meant that we saved a lot of time on changes and iterations early on. And while these days I’ve ditched Photoshop and switched to Balsamiq for mockups, it’s still my favorite way to show our team exactly what we need to do…. Early on at my second startup, we were trying to build a login page for our customers, and it was going…poorly. “The form needs to be bigger, and we need fewer navigation links,” I emailed our development lead. “No problem,” he’d say. And an hour later, I’d get a new version with a too-big form box and critical links missing from the header. We had been dancing this dance for days; me flat-footedly asking for vague changes, and him dutifully matching my steps. That afternoon, we had a long discussion that was incredibly helpful for me. I learned the importance of giving clear, thorough feedback. Now, instead of “fewer navigation links,” I might say “let’s remove the About, Contact and Features links, and increase the size of the form submit button by 20%.” Things move a whole lot smoother”. I'm a non-technical founder. I have a full-time developer that works for me and we work really well together. A lot of why we work together is we communicate well. Here's some general advice: […] one of the most frustrating things for a developer is when the schematics are constantly changing or if the expectations aren't clear. It makes my brain hurt, but I try to write out/draw out in as much detail as possible what I want to avoid any confusion. As more of a creative/sales person this relies on skills that don't come naturally to me so it takes a concerted effort to be really clear, but it makes things MUCH easier for the developer and also helps the timeline. As a point of consideration, most large organizations have "translators" that help non-technical and technical people communicate more effectively. A qualified expert can handle all described above issues in an easy and convenient for the client way. Belitsoft is an offshore software development company that operates since 2004. We successfully provide software development services (software development, software testing &QA, software maintenance, dedicated teams). Our highly-effective project managers deliver custom projects to companies both large and small. 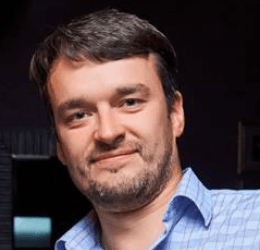 Senior technical Project Manager Dmitry Baraishuk is working with us since 2005. He began his professional career as a software developer. Now he is responsible for managing several projects, controlling development processes and creating new teams. During his career in IT, he efficiently solved marketing, sales, technical, managerial issues and leaded successfully TOP company projects. He has strong training and coordination skills, also ability to work with parallel assignments simultaneously keeping good quality and delivering on time. 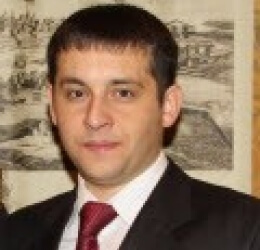 Senior technical project manager/Business Analyst Dmitry Garbar is working with us since 2007. He started his career as a software programmer. Currently he manages several types of projects, including fixed price and Agile. His team usually consists of 10 in-office developers, designers, html coders and a number of distributed non-staff members. He is strong-willed, keeps a very tight rein on all processes and provides high-quality software products on time. How to keep offshore software developers under control? Today many enterprisers from the United States, the UK, European and other economically developed countries prefer to use services provided by offshore software development companies instead of using local resources to have an opportunity for flexibility and very competitive costs. However, lack of control over offshore software developers may lead to broken promises, failure to deliver product on time and increase in its price. To track progress and budget using Issue tracking and Project management tools and timely updates via email/chat. SOW is a legally binding document that describes what the work is and includes criteria for how the Client and the Offshore Service Provider will agree that something is successfully completed. Communication plan as a part of SOW specifies how and when communication will take place. For example, weekly reports and meetings to review the project’s overall status, the acceptance of deliverables, the project schedule, and open issues. On demand direct developers’ contacts are provided for communication with the Client for any development or testing questions. Good offshore development companies manage the projects and workflow for their development and IT teams with the help of online collaboration software tools – Issue tracking and Project management tools. Such software makes each step of the software development cycle visible to the Client. Each manager from the Client’s side has an idea who is working on a current task, how close the task or project is to the completion or which steps are remained. Issue traсking applications help to prioritize issues, give the visibility into trending problems, as well as the ability to track each developer’s work on specific issues. Before we signed numerous SOWs, we included in them all necessary for our Clients information as well as bug fixing warranty. 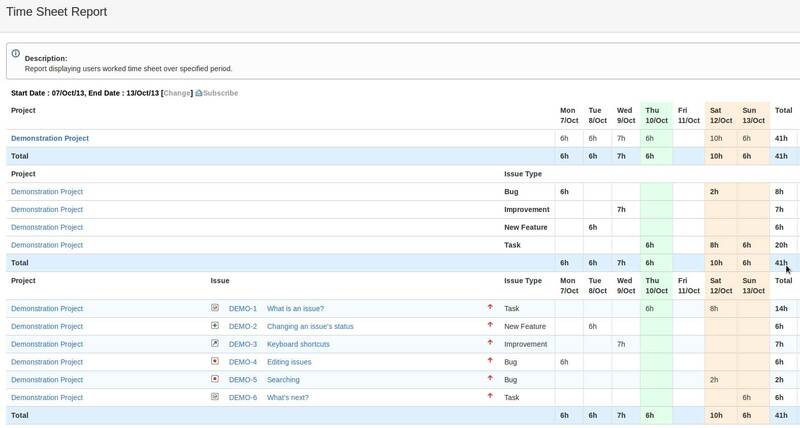 We as well as tons of great tech companies rely on easy-to-use JIRA for issue tracking but we are fine to use other Issue tracking and Project management tools such as MS Project/Base Camp/RedMine, Mantis, etc. Our Clients know they will receive updates and reviews on any task they ask for, as soon as possible.